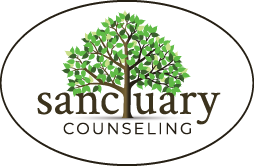 Month: October 2014 | Sanctuary Counseling, LLC. I get asked a lot – nearly every day, actually – about whether someone is in a toxic relationship or one worth keeping. It might be a partner, a job, a friend… but the question still comes up. People tend to look for all sorts of complicated criteria and rationale to support what is often a decision they have already made but hesitate to put into action. And as a therapist, it really is not my place to tell someone whom to befriend, with whom to break up, or when one should make a career change. … do you tend to feel GOOD about yourself? … do you tend to feel BAD about yourself? If you can answer honestly that this relationship, overall, tends to bring out your best and supports a healthy self-esteem, it is probably one that is worth further consideration. If, however, the relationship leads you to feel bad about yourself: unworthy, “less than,” defeated, unloved, etc. – well then it is very likely a toxic relationship and decisions should start to become more clear. Is your job wrecking your self-esteem? Toxic relationships happen in the workplace, too. Yes, relationships can take work, and jobs should challenge us. We should NEVER, however, feel obligated to suffer people who diminish our sense of personhood or who need to make us feel smaller for their own comfort. “But Heather,” you ask, “what if I’M the issue? What if my feelings of unworthiness really (no, REALLY) aren’t a product of the relationship, but simply my own baggage? How can I tell?” Excellent question, dear reader. And one that really cannot be explored in a blog post alone. The myriad of experiences we have from birth to this day, our own inherent personality traits – these things and more combine to shape our sense of self. Are you the one doing more of the giving? Are you feeling like the friendly joking doesn’t feel so friendly sometimes? It may be time to re-evaluate your friendships. So while the journey usually starts with a simple question, it often leads to a larger quest for understanding and healing. And it is this, ultimately, that is the work of psychotherapy. Together, we take on the questions – simple and complicated – and together we find directions, answers, and a sense of healing and resolution that is uniquely yours. 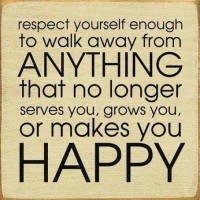 Need help walking away? We can help.